This home has an interesting history. It was built in the 1890’s and was a very large, single family dwelling. During the Great Depression, it was broken up into many smaller apartments and remained this way until the early 1990’s, when the current owner purchased it and decided to restore it to it’s original configuration. 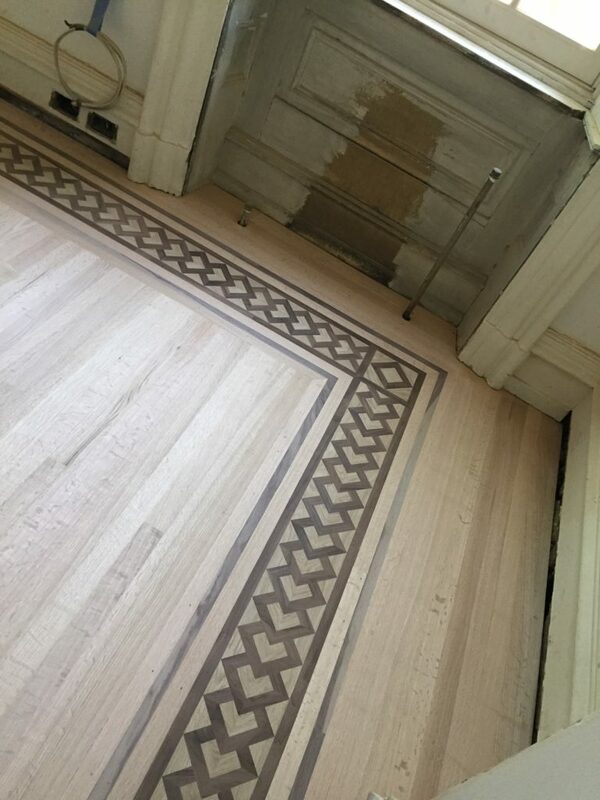 During the restoration process, many of the original features were discovered hidden behind walls and under carpeting. 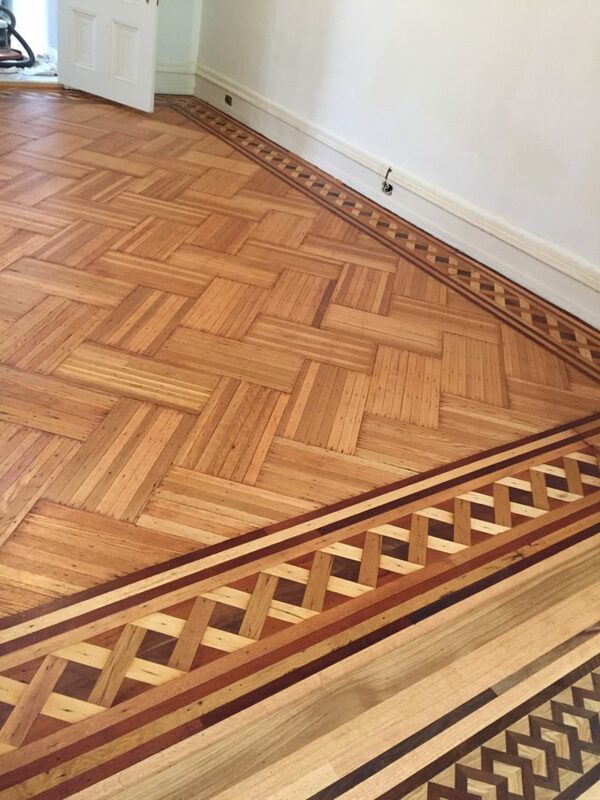 Every one of the original floors which were likely hand cut onsite, had a different parquet pattern along with beautiful borders all consisting of many different species of wood, ranging from mahogany, American cherry and American walnut, to maple and white oak. 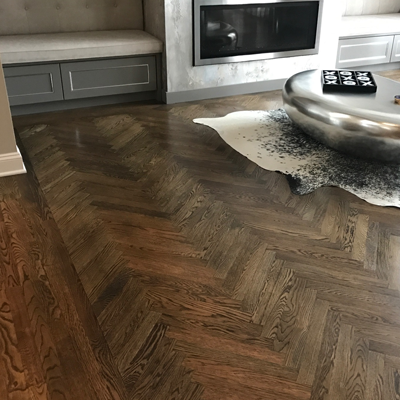 Artisan Wood Floors was lucky enough to be selected to do repair and refinish work on this project, as well to install new floors where the original flooring had been damaged beyond repair. 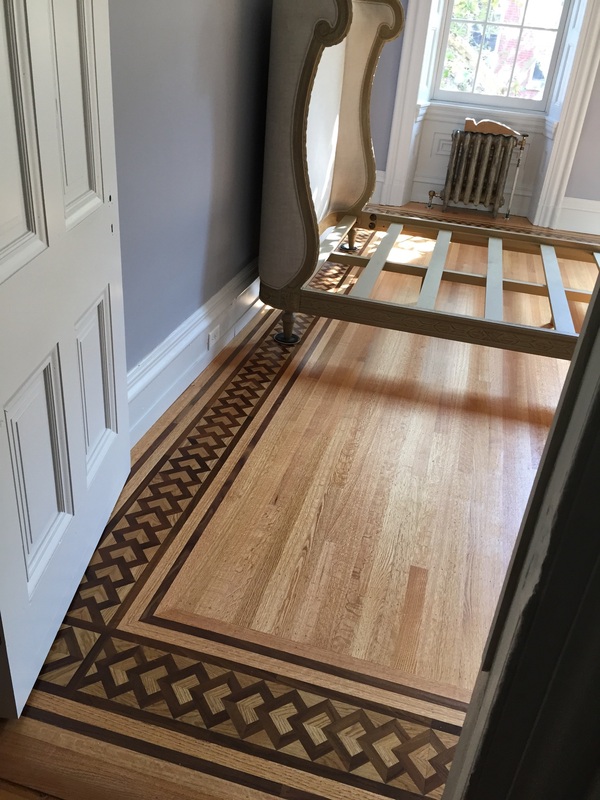 This particular portion of the project has 2 adjoining rooms, one of which required minor repair work and full refinishing, while the other required an entirely new floor. 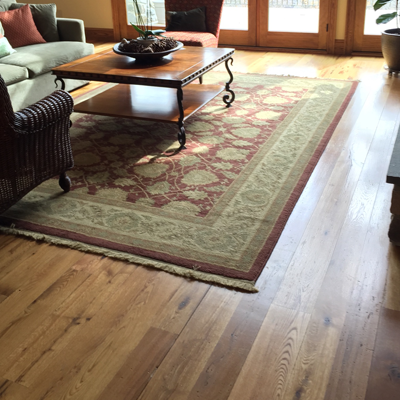 After much discussion with the homeowner, a decision was reached to repair the subfloor and to install a straight lay, face nailed, rift sawn white oak field, with a border and feature strip made of white oak and American Walnut. 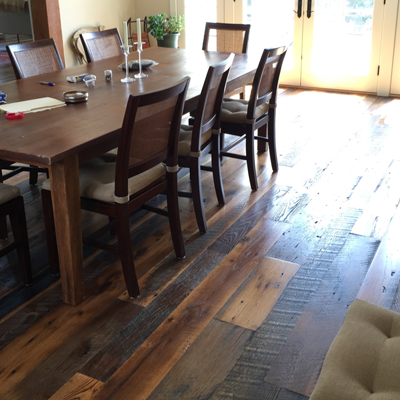 The first step in the process was to repair the subfloor and lay new decking on top of it. The next step involved squaring up the room in order to lay the border and feature stripping. 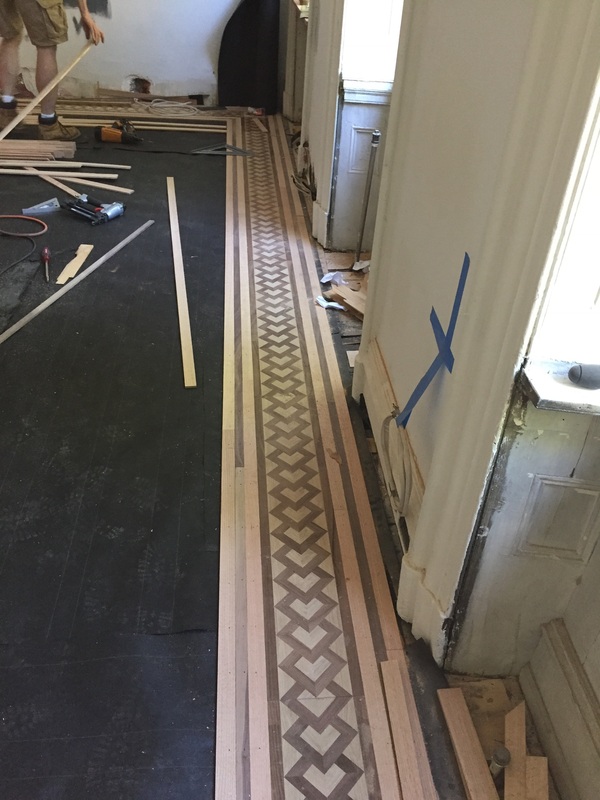 As is usually the case, not much of the structure was square to itself and we needed to lay our border pattern and shift it around to find the best fit. 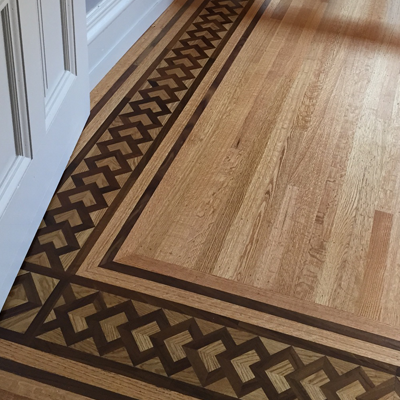 The border and feature stripping were then installed, followed by the installation of the field within the border. While the field was being completed, we also performed some minor repair work to the existing floor in the adjacent room. 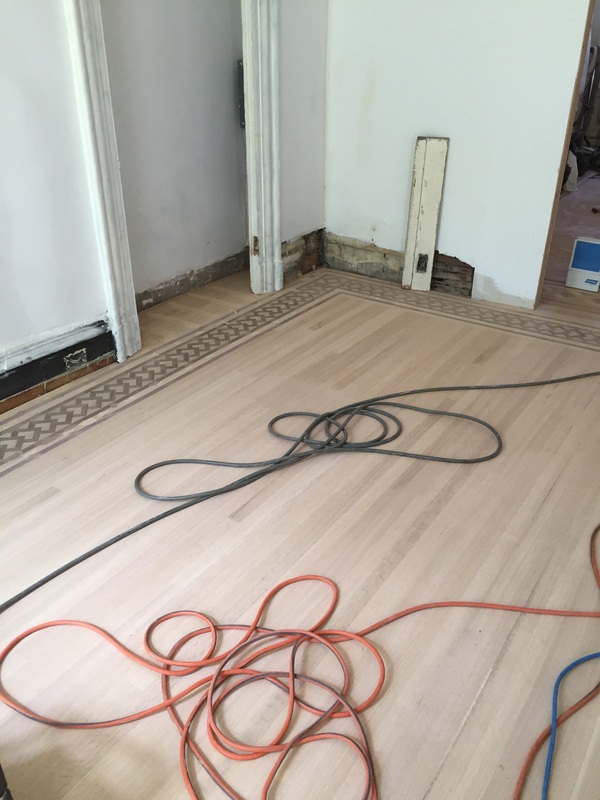 When all installation and repair work were completed, we were ready to sand both rooms. We started sanding both the existing floor and the new floor with 50 grit sandpaper and worked our way up to 100 grit. 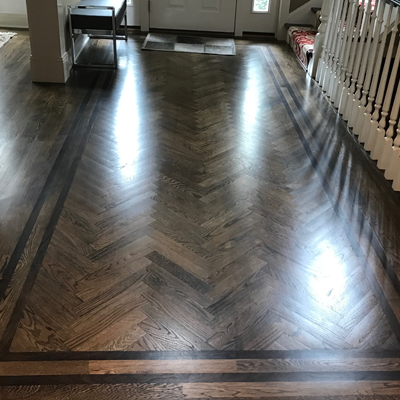 After completing detail work, the floor was sealed and coated with a satin sheen oil modified polyurethane made by Dura Seal Finishes.